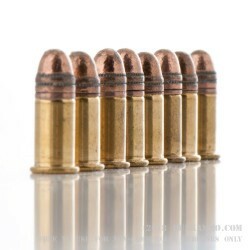 The perfect round for when you have close up work or need a quiet, small projectile that won’t cause too many concerns with penetration. 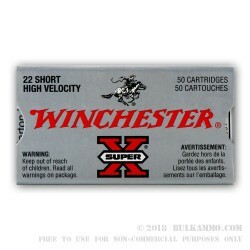 This Winchester Super-X .22 Short is a great option for ranch duty, dispatching beef cattle or goats and pigs humanely, without a ton of noise to scare other animals or cause problems with noise pollution. 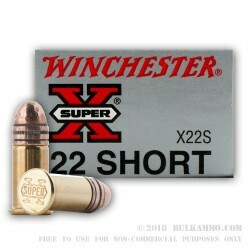 A great option for those that are learning to shoot, with the perfect companion being a bolt action rifle in .22 Short or .22 LR. 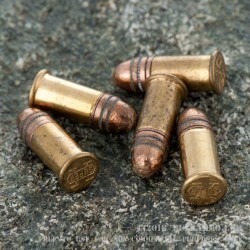 Note: while a .22 Short can be shot out of a .22 Long Rifle or a .22 Long chamber, it can also cause throat/chamber erosion over time. 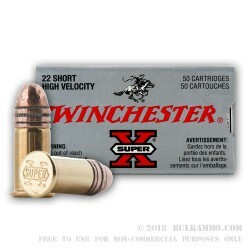 It is not a dangerous exercise to shoot these small .22 Short cartridges in longer chambers, unless/until there is throat erosion. A small amount of volume will not necessarily cause these erosion problems, but you should be aware of the potential for the damage/safety concern. 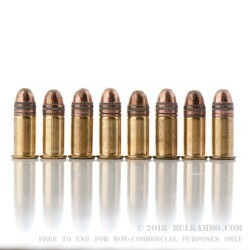 The .22 Short is a great round for general purpose use and for when you are wanting the absolute lowest recoil or noise out of a mainstream load. 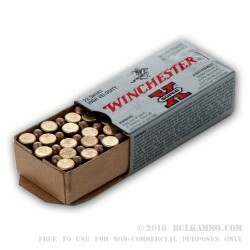 This is a box of 50 rounds of 29 grain .22 Short ammunition.